We Latter-day Saints love to revere the Book of Mormon, then tend to ignore its teachings in favor of doctrines found nowhere in its pages. As LDS cultural anthropologist Daymon Smith demonstrates in his remarkable book, A Cultural History of the Book of Mormon, this is nothing new. As it happens, few early converts to Mormonism bothered to read the Book of Mormon and had little idea of its contents. Most hadn't been converted through a reading of the book itself, but rather by what they thought the book represented. They saw the coming forth of ancient scripture on gold plates as evidence of God working miracles among men at the dawn of the millennial age. No need to actually read the book; the miracle was the message. Meanwhile, those converts who did read the Book of Mormon tended to scrounge around in it looking for parts that confirmed beliefs they already held. If we are serious about the Book of Mormon being the cornerstone of our faith, then that book should be the litmus test as to what is and is not organically "Mormon." True, not every teaching has to have come from the Book of Mormon in order to be doctrinal. God did, after all, reveal additional truths through Joseph Smith both before and after that book came forth. But a surprising amount of what we think is quintessentially "Mormon," actually turns out to be more Protestant than LDS. And many of those notions remain entrenched in the Church today. 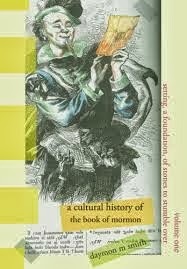 Daymon Smith takes a good hard look at where we got some of our more cherished beliefs and finds that more than a few teachings we assume are fundamentally "Mormon" are not to be found in the Book of Mormon, nor were they revealed by God through revelation. Instead, they have their roots in the Reformed Baptist movement from which many of our first converts were gleaned. These new converts, fresh from the tradition led by Alexander Campbell, remained firmly attached to their former beliefs. Rather than let those tenets go, they folded them into this new religion they were now a part of. Those who came after simply accepted these tenets as part and parcel of Mormonism. No one seems to have noticed a skunk had gotten into the woodpile. Soon after the publication of the Book of Mormon, many of those who embraced it immediately took to giving it second class status. They hailed it as miraculous and important alright, but they promoted it mostly as a companion to the bible; a marvelous work and a wonder that served to prop up the bible's authority. Never mind that the Book of Mormon prophets explicitly declared the bible to have been full of errors and omissions, and a stumbling block to mankind's spiritual progress for centuries. When new converts proclaimed this wonderful new scripture, it was mostly to support the veracity of the bible. It was rarely cited as its own authority. The Book of Mormon was touted as a helpmeet to the bible, "a second witness." Among the teachings the Campbellites brought with them into the fledgling church was "The Plan of Salvation" outlined first by Campbell and Stone, and eventually codified in 1890 almost word-for-word in section four of our own Articles of Faith. Then there is that little matter of the "true church" being modeled after the primitive Christian church, replete with a priesthood of Apostles, Elders, Priests, Teachers, and Deacons. Though it has been firmly entrenched in our culture for nearly two centuries, that organizational structure may turn out to be the most "un-Mormon" Mormon teaching of all. A religious organization structured after the primitive Christian Church is not recommended in the Book of Mormon, nor directed by God in any of his bona fide revelations. Yet we still cling to that format today, ignoring the fact that the first century church built on that paradigm failed precisely because it was so easy to infiltrate and neutralize. 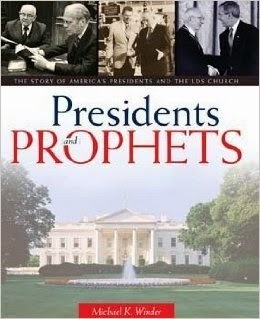 Daymon Smith methodically reconstructs where and how these false teachings originated, and it appears the prime suspects are Sidney Rigdon and Parley P. Pratt. Both were greatly influenced by the teachings of Alexander Campbell, and both were instrumental in bringing many others into the church, including most of Reverend Rigdon's entire congregation. If you have never heard of Alexander Campbell, he was the Billy Graham of his day. And for those of you reading this who may be too young to remember Billy Graham, in my day Billy Graham was huge. Graham was considered America's Preacher. He transcended denominations. 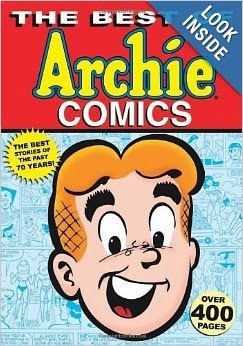 His books sold millions. His speaking engagements filled stadiums. Politicians of both parties scrambled to be photographed with him if they had any hope of getting elected. In America, Billy Graham was bigger than the Pope. That's how it was with Alexander Campbell, a famously popular evangelist in frontier America. He published as many as a hundred books and tracts, as well as a monthly periodical called The Christian Baptist. Every bible-believing American was familiar with Campbell and his teachings. When Campbell made personal appearances he was often accompanied by the Reverend Sidney Rigdon, known as "The Walking Bible" for his encyclopedic knowledge of scripture. Rigdon and his flock eventually broke from Campbell, but Rigdon retained his Cambellite beliefs, among them the idea that the true Church of Christ must be modeled after the New Testament church of the early apostles; that model would be evidence of the true church. Both Rigdon and Pratt embraced the coming forth of the Book of Mormon as evidence that God was again working miracles, and they interpreted the book's miraculous coming forth as a sign that the true Church of Christ was at hand. And incredibly, the Book of Mormon spoke repeatedly of a "restoration." Say, that sounded familiar! Rigdon, Pratt, and the other disciples of Christ had been looking forward to a "Restoration of Ancient Things" as taught by Alexander Campbell. This mention of restoration in the Book of Mormon was taken by them as a sign that the restoration was at hand and that they were to be part of it. To them, the word restoration meant something very specific: a restoring of the New testament church as it had been at the time of the apostles. Never mind that was not at all what the word "restoration" meant as contained in the Book of Mormon. These newbies only saw what they wanted to see. They saw the word, and they jumped to their own conclusions regarding that word's meaning. "When the Book of Mormon spoke of "Restoration" it was referring to Israel being restored to the knowledge of their fathers; it meant our bodies being restored to their proper frame; Justice and mercy being restored to us individually. One way of looking at restoration is as a kind of Karma. What you put out into the universe is eventually restored to you. If I am in a place of judgment and accusation, then I become hindered with guilt and fear. However, if I’m willing to let go of the anger, then peace will be restored again to me." I think the Book of Mormon prophets would be aghast at how we have warped their meaning. It is quite clear that the structure of the early "church" as presented in our perverted Bible is the last place they would want us to look to for direction. That icon failed a century after it was birthed, and the Book of Mormon was explicit in warning about it. At the time of the Rigdonite influx of converts to Mormonism, there was no organized LDS church. Neither had Alexander Campbell's Disciples of Christ come into being as a formal denomination. That wasn't formed until 1832. The collection of Christians throughout America who loosely followed the teachings of Alexander Campbell called themselves disciples of Christ (small 'd' disciples) the same as many others called themselves "followers" of Christ. They were not members of any denomination led by Alexander Campbell; they merely subscribed to his interpretation of the bible. Most of these disciples of Christ became known as "Restorationists," and those who were gathered in Ohio with an interest in this new record translated from gold plates were labeled "Mormonite" Restorationists. These new Mormonites might have declared a belief in the Book of Mormon, but that wasn't what pushed their buttons. What they really saw themselves a part of was restoring the ancient Christian church to the earth in these latter days. Finding the word "restoration" in the Book of Mormon seemed to validate their belief that they were to be part of restoring the church the way it had been before the Holy Roman Empire mucked it all up. They hadn't really found references to a restored church in the Book of Mormon, because churches in the Book of Mormon weren't organized from the top down. But they fooled themselves into thinking they had found it, just the same. The tiny group around Joseph Smith had consisted of little more than Oliver Cowdery and a handful of witnesses to the Book of Mormon. This new wave of Rigdonite converts swelled the ranks of the as-yet unorganized "church" considerably. Daymon Smith shows how their influence effectively diverted the nascent community away from a focus on the Book of Mormon and toward something else entirely. 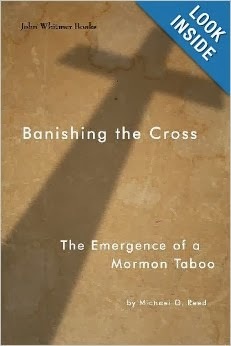 As Smith puts it, "Restorationists did not 'join' any church so much as graft the Book of Mormon onto their own metatext, and were [now being] called Mormonites..." (pg 155). Even then, they didn't think of themselves in terms of the Book of Mormon. They were Restorationists first. 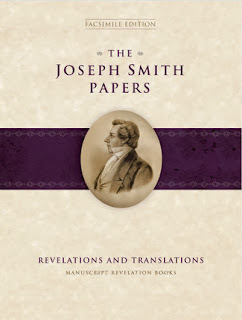 Smith fully documents how this Restorationist philosophy elbowed its way in and overshadowed the message of the Book of Mormon. Instead of using the Book of Mormon to bring individuals to Christ, the focus shifted to bringing converts into this newly formed Church. And that remains our primary focus today: not so much bringing people to Christ as bringing new converts into the "true" Church. I'm not engaging in hyperbole when I say A Cultural History of the Book of Mormon is the most important book I have read in a very long time. It's a game changer. It has forced me to completely rethink many of the things I have long believed were fundamental to my religion, and seek again for truths I had been ignoring. Frequently while reading the book, I would have to put it down for a moment to allow my head a chance to stop swimming. 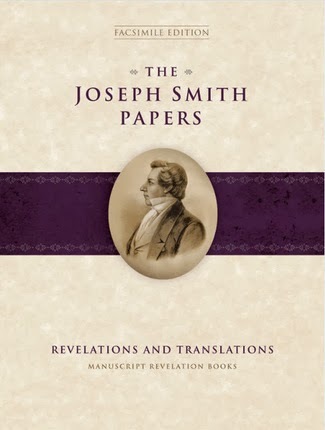 Smith fully documents the Protestant Restoration tradition going back 400 years through Alexander Campbell and his influential father, Thomas Campbell, and other members of the Scottish Enlightenment. This was no new movement revealed by God in 1830. It's old news; and not all good news. Smith painstakingly shows how our incipient religion was tainted very early by the false assumption that restoring the ancient church was our primary purpose for being. As a cultural anthropologist, Daymon Smith has done a more thorough job of digging deep into the roots of Mormonism than many of those officially charged with the task. It's little wonder LDS court historians sometimes have trouble fitting the pieces together. They are often forced to begin with what our conditioning teaches us must have been the endgame, then reasoning backward to try and make it all fit. As Denver Snuffer put it, "reasoning backward requires you to begin with the result...To reach this outcome, you proceed with whatever assumptions are required to justify the conclusion" (Passing the Heavenly Gift, pg 321). But the problem with Mormon history is that much of it was tweaked and doctored years and even decades after the events described, then re-written again to more closely fit the chosen narrative. Many of these inconsistencies have been seized on by anti-Mormon writers as evidence of fraud, when what was happening was our pioneer forefathers were busy overlaying contrary dogmas ex post facto. They had a view of the manner in which they felt something should have taken place, and sometimes injected descriptions of those events retroactively in written accounts that contradicted other versions. Here's why I think A Cultural History of the Book of Mormon is so important: within the first year of publication of the Book of Mormon, we had already begun to veer oh-so-slightly off course. Smith takes us back to the very beginning to show how things started going awry almost from the start. Those prideful members who are convinced Satan could never get a toehold in this work have little inkling of the subtle, nearly imperceptible ways of the Adversary. The history of this church is a tragedy, really, when you think of how things could have turned out. The message of the Book of Mormon could have been universally embraced. It should have flooded the earth and brought multitudes of people to Christ. It's message was intended for literally everyone. Instead, it is identified in the public mind as a book proprietary to one specific religious denomination. And that denomination is not universally admired by most of the world's people. 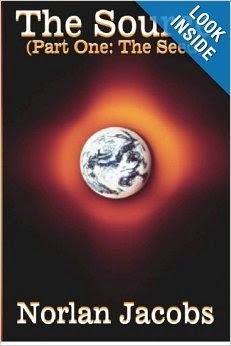 They don't really like us; why should they read our book? What's worse, and clearly contrary to the will of God, a person who is converted to Christ through the Book of Mormon today can't simply give himself over to Christ and be baptized. Mormon Baptism means you are joining our congregation, and you'd darn well better be worthy of us. First you have to be vetted with an interview to make certain you are already following our rules. We can't have someone calling himself a Mormon seen holding a cup of coffee, now can we? In a Church that has become more of a brand than a religious society, the primary concern becomes protecting the image of the brand. Before you can become a member of the church that introduced you to the Book of Mormon, you are expected to comply with a list of rules and preconditions that are nowhere to be found within the pages of that book. 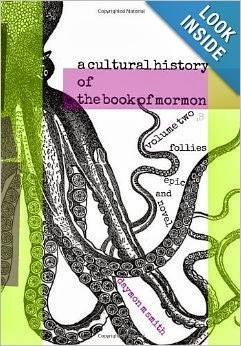 A Cultural History of the Book of Mormon is essential reading for all latter-day Saints. And this is only volume I of a projected five book series. It touches on only the first two years following publication of the Book of Mormon. Subsequent volumes will take us through to the present time. 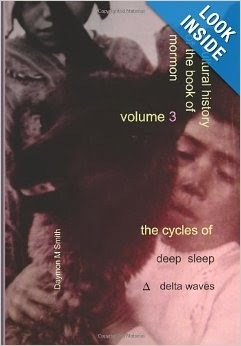 Volume II is already available (and has itself been split into two volumes). Volume III is almost ready. This series promises to be groundbreaking. Future volumes will show how the Book of Mormon fell so out of favor with the Utah pioneers that it was rarely read in private or spoken of from the pulpit. It was as though the Saints didn't see a need for it anymore now that they had their Church. At least one member found a use for it. 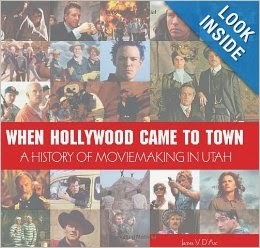 A visitor to Utah at the turn of the century reported seeing a copy of the Book of Mormon in a Mormon outhouse. The pages weren't for reading, but for wiping. "Our thinking is tied to a model given to us by the Mormon traditions. The scriptures are not necessarily in harmony with those traditions. Therefore, it is necessary to look carefully at the scriptures, discard untruths, discover the revelations that are there and then believe what God has revealed. For many people that is too much to ask." The ray of hope in all this is that everything is going according to plan. God had foreknowledge of all this. A very important part of Daymon's dissertation is Joseph's recitation of Ezekiel 14, which in essence tells us that God can only speak to us through our "multitude of idols." "And if men come unto me I will show unto them their weakness. I give unto men weakness that they may be humble; and my grace is sufficient for all men that humble themselves before me; for if they humble themselves before me, and have faith in me, then will I make weak things become strong unto them. Behold, I will show unto the Gentiles their weakness, and I will show unto them that faith, hope and charity bringeth unto me—the fountain of all righteousness. "Wherefore, I know by this thing which thou hast said, that if the Gentiles have not charity, because of our weakness, that thou wilt prove them, and take away their talent, yea, even that which they have received, and give unto them who shall have more abundantly." In other words, the only way that we could come out of captivity of the “Great and Abominable Church” was to see our weakness, and then reject it. We should be ever-grateful to Sidney, Parley, Brigham, and yes…. even Boyd! They have put our weakness on display and now “it is given” to us “to know the good from the evil.” The talent once briefly possessed by the early Saints was taken away as we truly learned the meaning of restoration. Sidney Rigdon foolishly threatened the Missourians with “extermination” in his famous July 4th oration and that threat was subsequently turned against the Mormons when Missouri's Governor Boggs issued his infamous extermination order. That's Karma. Our people failed to complete the Nauvoo temple in time so “instead of blessings, ye, by your own works, bring cursings, wrath, indignation, and judgments upon your own heads, by your follies, and by all your abominations, which you practice before me, saith the Lord.” (D&C 124) Good or bad, we tend to get what we have coming to us. We can lift the condemnation. We can be restored. That will happen as we repent. 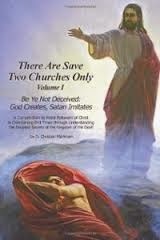 But I believe repentance must take place at the institutional level as well as individually. That would mean letting go of the philosophies of men mingled with scripture that we have allowed to endure for so long, and walking away from the false traditions of our fathers. The authoritarian structure of the LDS Church today can be directly traced to the Mormon/Campbellite mashup begun 184 years ago. Now that structure is beginning to crumble as members are awakening to the reality that something isn't working. I agree with the remedy proposed by Daymon Smith. He advocates a fresh reading of the Book of Mormon, setting aside what we imagine is contained within its pages and seeing only what is actually there. If we are sincere in our belief that the Book of Mormon is the foundation of our faith, we may have to start untangling ourselves from doctrines that are foreign to it. Update October 24: My friend Benjamin Reed, who is an LDS scholar specializing in New Testament studies, feels it's important to point out that although Alexander Campbell called himself a "Reformed Baptist," the Reformed Baptist movement of today is an entirely different animal. I concur with Reed. Today's Reformed Baptists have nothing to do with the Campbellite tradition or Restorationism. I wanted to make that clear before a mob of angry baptists shows up at my door demanding a retraction. 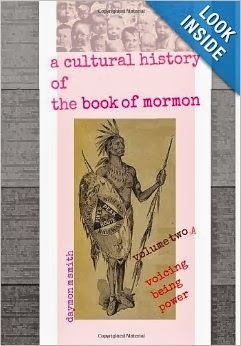 Denver Snuffer Updates:As I was writing this piece I learned that Denver Snuffer has posted on his own website a review of the first three available volumes of A Cultural History of the Book of Mormon. (where did he find time to read them so fast?) 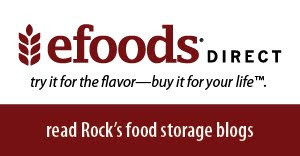 They contain excellent insight, and are available by clicking here. Also, those who read my previous piece about Brother Snuffer may be interested in the transcripts of the talks he is giving and will continue to give over the next few months. Look to the right side of his homepage in the box labeled "DS Talks." As you'd expect, they are outstanding and insightful. He posts the transcripts as he has time to edit them, so if you can't wait that long and wish to hear the live audio, you can obtain CDs almost immediately from PublishingHope.com. Because many ignorant people on the internet have accused Denver Snuffer of profiting from these presentations, I feel it's important to note that Snuffer spends his own money on renting the venues and charges no admission fee. The CDs are made available at a nominal cost by the person providing the sound equipment to record the talks. Denver Snuffer receives no part of the proceeds from those recordings. The Australians: Our friends who were introduced in my piece "Circling the Wagons" have posted about their progress thus far here. Additional donations to the Circling the Wagons cause can be submitted by contacting the proprietor of Perfect Day. Circling the Wagons, at the Perfect Day link above.Your money is placed in a dedicated account at Zion's bank, and you direct its use.